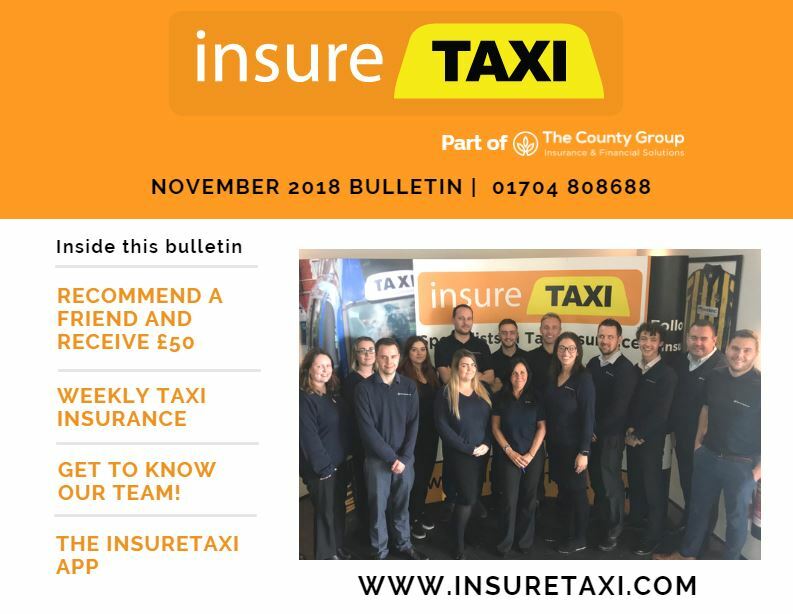 The insureTAXI team pride themselves on providing clients with excellent service coupled with exceptional cover; if you’ve been happy with our service please don’t forget to recommend us to your friends, family, colleagues and business connections. Please email southport@insuretaxi.com with their contact details and your name and postcode. The team at insureTAXI do their utmost to exceed your expectations and make your insurance experience as easy as possible. Therefore, if you recommend us to friends and family and they take out a policy with insureTAXI, you will receive £50 from us as a thank you. To recommend someone. please visit www.insuretaxi.com/recommend-a-friend or give us a call on 01704 808688. Even if they are not due for renewal yet, please get in touch and we will contact them closer to the time. Alternatively, if we have exceeded your expectations, please leave us a review – we would like to hear from you! At insureTAXI, we are also able to offer weekly insurance for your taxi. We would welcome the opportunity to quote for you. This is ideal for short term taxi drivers who many drive during seasons like Christmas or who may want to earn some extra cash for a few weeks. We offer weekly taxi insurance as little as £45 a week* for drivers who drive for Liverpool, Sefton, Knowsley, St Helens, West Lancashire, Wirral and Halton councils. Call our team for a quotation on 01704 808688. How long have you been working in insurance for? 12 years! Why should potential customers take our their insurance with you? Our department is compliant, consistent, fair and has high reviews on our social media sites. We have no major complaints, and our reputation as a team and business has grown from September 2015 to now with compliments from the insurer Collingwood (David Martin) praising me and my colleague for our hard work. Call John and the team for a quotation on 01704 808688. If an accident is to occur on the roads whilst you are out and about in your taxi and you need to make a claim, we can help you.